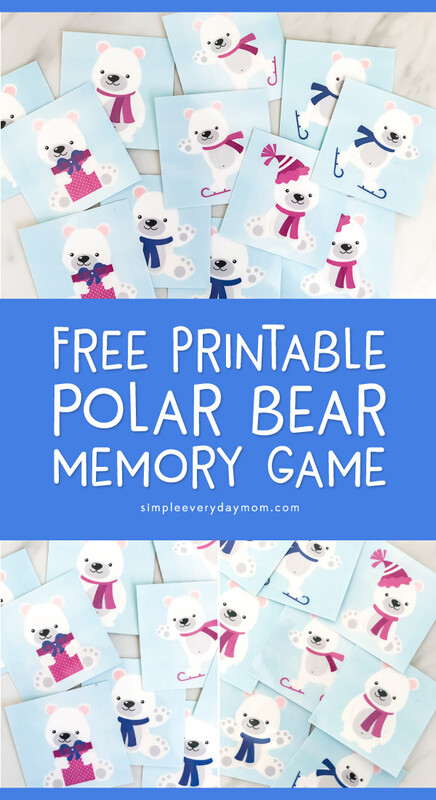 Inside: Download this free printable polar bear memory game and have fun celebrating winter time! 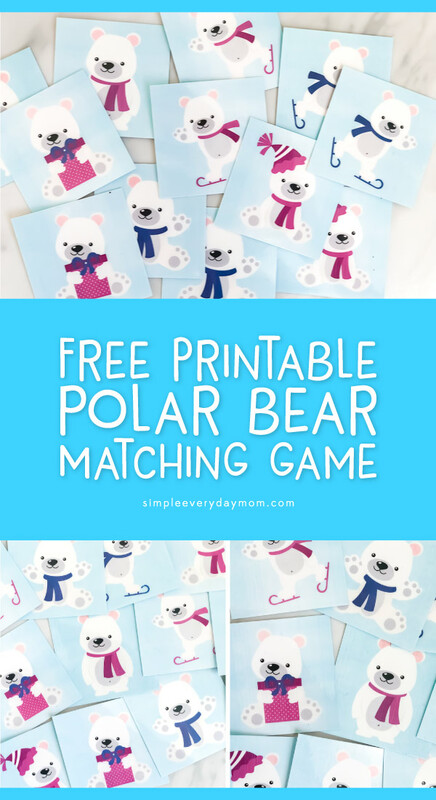 Matching games are one of the best games for young children to play! We have created tons of versions of memory since we love them so much. Some of them include this dinosaur theme preschool memory game, this solar system flashcard game, these nature story cards, and many others. 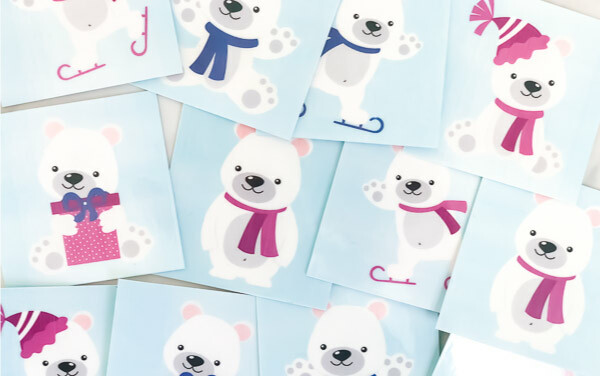 Since we’re right in the middle of winter, today we’re sharing this arctic animal memory game. Read on below to see how to download your free copy. 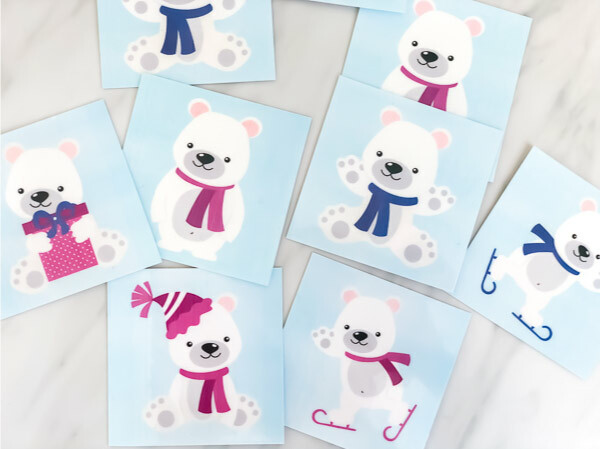 Matching games are a fun learning tool we use frequently in our home. 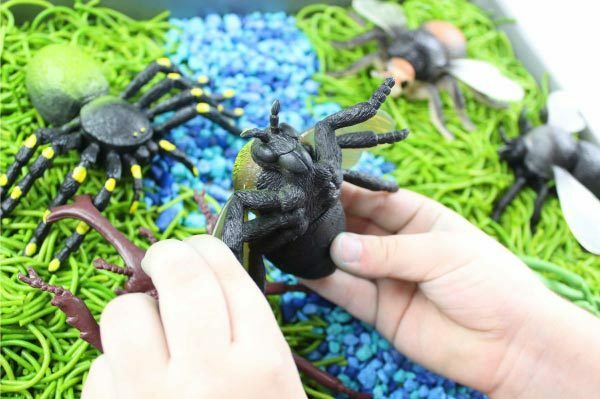 They’re great because not only can your child have fun playing them, but there’s also a whole bunch of things they can learn from them including visual discrimination, learning how to take turns, visual memory, perseverance and more. 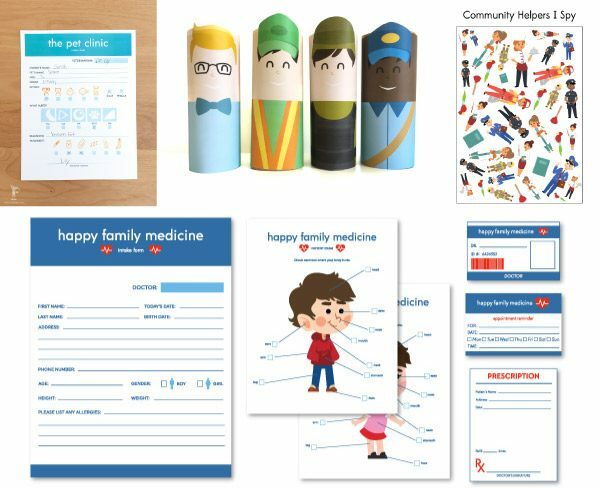 In this free printable set, there are six different matching sets included. Since it’s a small pack, I prefer to have my 4-year-old play by himself. He’ll line them all up into a square with the backs facing up and take turns finding matching pairs. 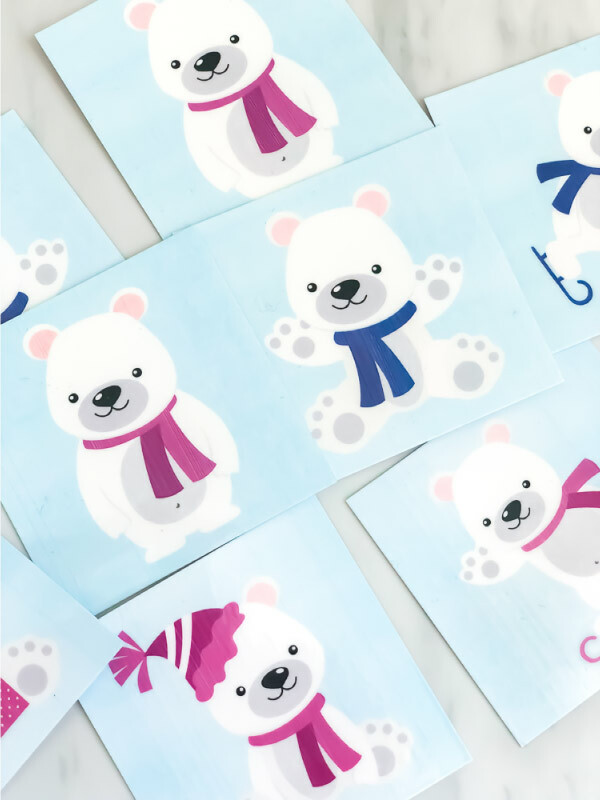 Since these polar bears are all similar and use the same colors, there was one or two times when he thought he had found a match but it was a different card altogether. Of course, you can also play with 2 players if you prefer. It’s perfect for a short break since the game goes by quickly. 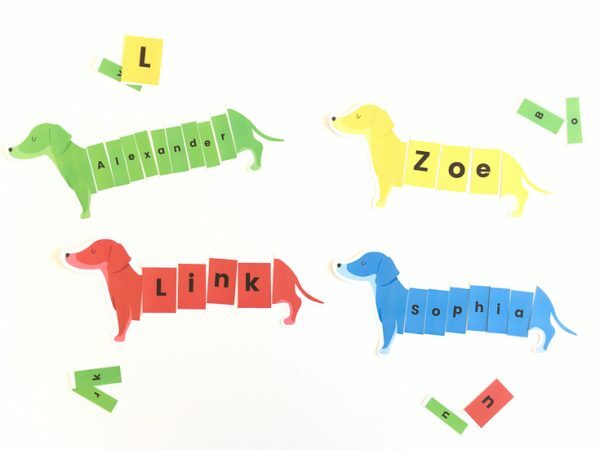 We love printing matching games out, putting them in a snack sized Ziploc and carrying them in my purse so we can use them when we have time on the go. They’re also fun for use in the classroom when the kids have individual quiet time. 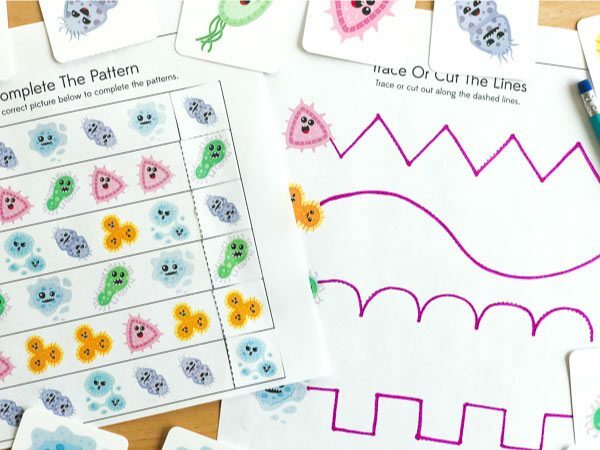 If your kids (or students) like memory games, don’t forget to enter your email in the form at the bottom of this page to have the download link emailed to you! Thanks Karin! Hope your kids have fun with it! I am having trouble figure out how to download the game. Where is the link? Thank you! 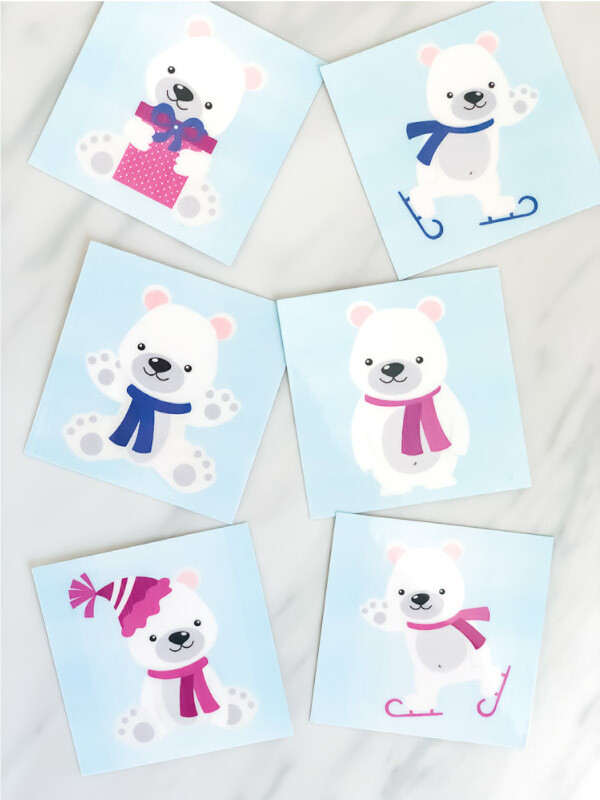 I love the polar bear matching game. Of course! Just enter your email in the form at the end of the page and the link will be emailed to you. Hello, I am also having difficulty downloading the link. So sorry, you’re running into problems. What’s happening exactly? Thanks for the kind words, Kathi! There is no form at the end of the page for downloading. I adjusted it…Can you see it now? 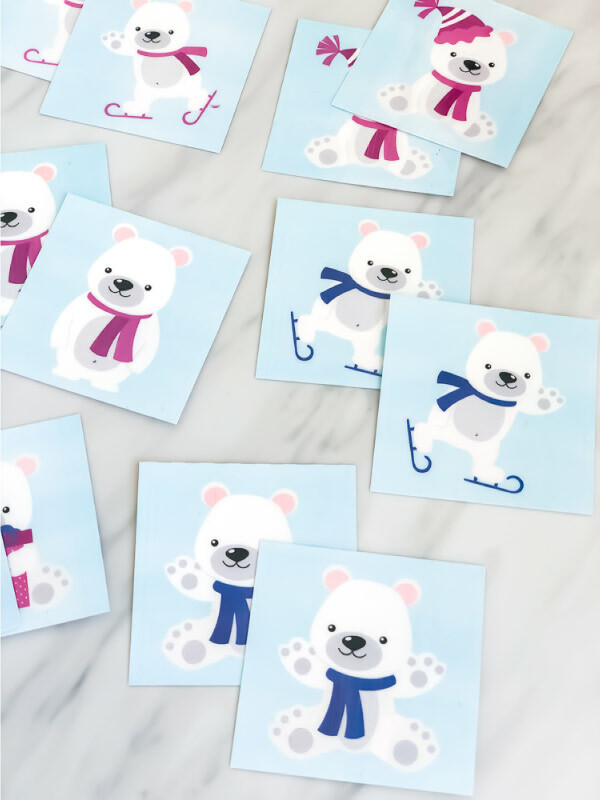 penguin matching games looks so cute. Thank you. I am not seeing the download form either. If you can send the download via email, that would be great! Thank you!